Notices of franchise taxes and annual reports due for Delaware domestic for-profit and nonprofit corporations are being sent by your registered agent for the 2017 tax year. As detailed in our previous update, Title 8, Section 503 was amended to change certain annual corporate franchise tax rates and calculations. To simplify the annual report filing process for the 2017 tax year for you, below we provide answers to some of your frequently asked questions. A: A Delaware domestic corporation must file a fully completed annual report and pay the annual report filing fee and franchise tax by March 1, 2018. The franchise tax payment due is for the prior (2017) calendar year. An exempt corporation does not have to pay franchise tax, but it must file a completed report and pay the annual report filing fee. The report must be filed online and must be received by the Division of Corporations on or before the March 1st due date. Q: How is the amount of the Delaware franchise tax calculated? A: There are two methods to calculate a Delaware corporation’s franchise tax: Authorized Shares method and Assumed Par Value Capital Method. The corporation pays the lesser of the two amounts. Note that effective January 1, 2018, Delaware increased the franchise tax rates for both methods. The current rates are noted below. Q: How do I calculate the franchise tax using the Authorized Shares method? A: If the corporation has 5,000 shares or less, it pays the minimum tax of $175. For corporations with 5,001 to 10,000 shares, the tax is $250. For corporations with over 10,000 shares, the tax is $250 plus $85 for each additional 10,000 shares or portion thereof. The maximum annual tax is $200,000. Go to the “How to Calculate Franchise Taxes” page on the Delaware Division of Corporations’ website for additional information on calculating the tax due. Q: How do I calculate the franchise tax using the Assumed Par Value Method? A: For corporations using the Assumed Par Value Method, the minimum tax is $400. To use this method, the corporation must report its total number of issued shares (including treasury shares) and total gross assets (as reported on U.S. Form 1120, Schedule L, for the company’s fiscal year ending the calendar year of the report). The tax rate using this method is $400 per $1,000,000 or part thereof of assumed par value capital. The maximum annual tax is $200,000. To calculate the estimated tax using the Assumed Par Value method, go to the Delaware Division of Corporations’ Franchise Tax Calculator or go to the “How to Calculate Franchise Taxes” page for additional information. 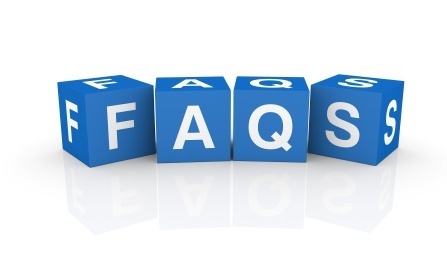 Q: Are there any additional fees that are required to be paid at the time of filing my corporation’s Delaware Annual Report? A: The Secretary of State of Delaware charges an additional annual report filing fee of $50. Exempt corporations pay $25 to file an annual report. A: All non-exempt non-stock corporations pay a franchise tax of $175. There is no alternate tax method available. Q: I understand some corporations have to pay franchise taxes quarterly. How does that work? A: Taxpayers owing $5,000 or more pay estimated taxes in quarterly installments with 40% due June 1st, 20% due by September 1st, 20% due by December 1st and the remainder due March 1st. Taxpayers subject to the quarterly payment requirement will receive a reminder notice each quarter. A: Effective for the tax year beginning on January 1, 2017, Title 8, Section 503, as amended, includes provisions for large corporate filers. The legislation provides that in each calendar year, the Secretary of State shall compile a list of corporations that: had a class or series of stock listed on a national securities exchange and reported in financial statements: consolidated annual gross revenues equal to or greater than $750 million or consolidated assets equal to or greater than $750 million, consolidated gross revenue of not less than $250 million and consolidated assets of not less than $250 million. These large corporate filers will pay an annual franchise tax of $250,000 instead of $200,000. Large Corporate Filers will be required to pay their franchise taxes on a quarterly basis. Q: Is an annual report required to be filed each quarter with payment of the tax? A: No, the Delaware annual report is required to be filed only one time per year, by March 1st. A: A corporation may pay its franchise taxes directly via DE SOS ACH- this method must be used for all transactions over $5,000. If you prefer to make payment via a wire transfer, check with your registered agent, since most professional registered agent companies will accept the funds by wire, pay the Delaware Secretary of State and follow up with evidence of such payment on behalf of your corporation. A: Reports that are not filed by March 1st will result in the Delaware Division of Corporations assessing a $200 penalty in addition to the tax and annual report fee, plus interest at 1.5% per month applied to any unpaid tax balance. Also it is important to note that Delaware will not issue Good Standing Certificates for corporations that have not met the annual report filing requirements. After two years of non-filing and non-payment, the corporation’s Certificate of Incorporation will be revoked. A: Your corporation’s Delaware annual report is pre-populated with certain information including the exact legal name of the entity, total number of authorized shares, class and par value of the shares and a breakdown of the franchise tax and fees due. In addition, the annual report is required to include the principal business address and phone number, the names and addresses of all Directors, the name and address of one officer and must be executed by an authorized signer. Q: Who can serve as the Authorized Signer of the electronic annual report? A: The annual report must be signed by the corporation's president, secretary, treasurer or other proper officer duly authorized to so act, or by any of its directors, or, if filing an initial report, by any incorporator in the event its board of directors shall not have been elected. The incorporator may not sign subsequent annual reports. Q: How do I file my corporation’s annual report and make payment? A: Delaware now requires that all annual franchise tax reports be filed electronically and accepts payment only in U.S. dollars drawn on U.S. banks. File electronically at Delaware’s website, http://www.corp.delaware.gov/paytaxes.shtml. Your payment options at the state’s site are ACH Debit, Visa, MasterCard, Discover or American Express. Live support is available online Monday through Friday, 8:30 AM to 4:00 PM by clicking the “Contact Us” link. If you require special accommodations, you may contact the Division of Corporations Franchise Tax Section at (302) 739-3073. File electronically utilizing your registered agent’s online system for Delaware annual report filing. Agents who offer such systems usually store the information needed to complete the report so that you will not have to re-enter it in subsequent years. (When you file directly with the state, you will have to input all of the information each year.) The payment options at registered agent sites vary, so check in advance to ensure you are able to pay with the options offered. A: Yes. You are still required to file the annual report and pay the franchise tax even if the corporation never engaged in business. A: Delaware requires that annual report(s) be current prior to all dissolution and merger filings. At the time of dissolution or merger, all franchise taxes must be paid through the date of the filing of the Certificate of Dissolution or Merger with the Delaware Secretary of State. Not being aware of this requirement can cause frustration when time-sensitive filings are delayed for this reason. We recommend identifying the tax due in these cases well in advance of the date of filing for a dissolution or merger. A professional registered agent company should be able to assist with obtaining total taxes due on any given date.